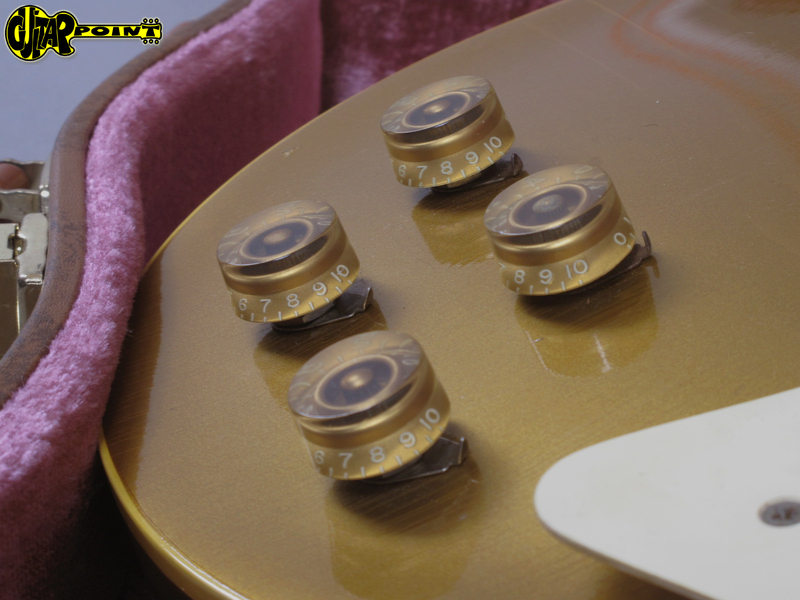 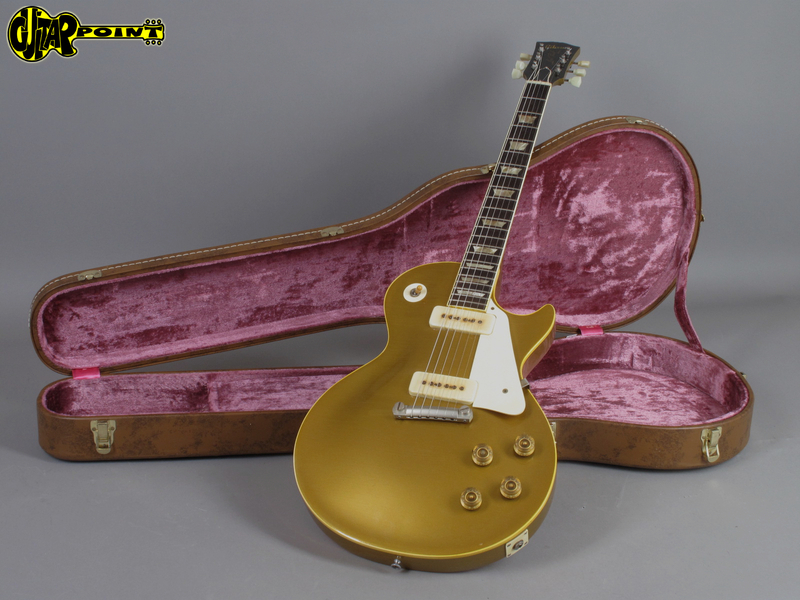 1954 Gibson Les Paul Standard Gold Top - All Gold Lightweight! 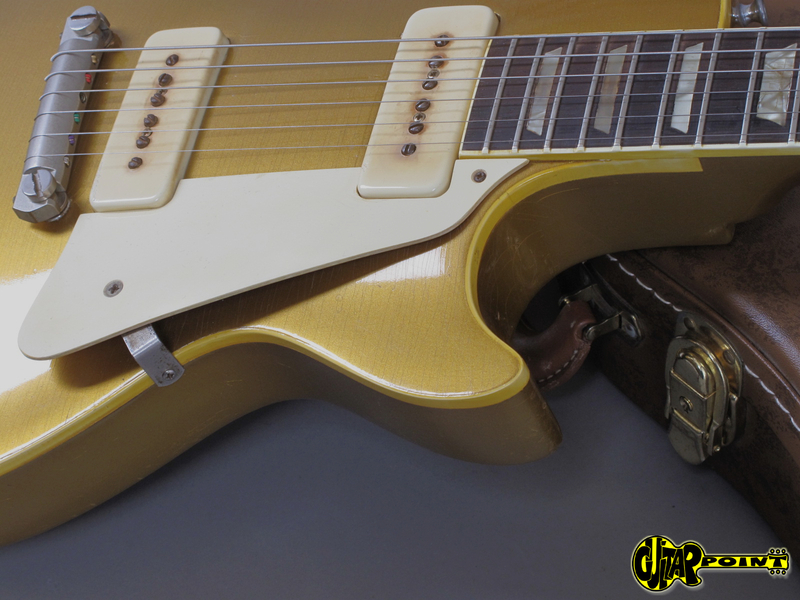 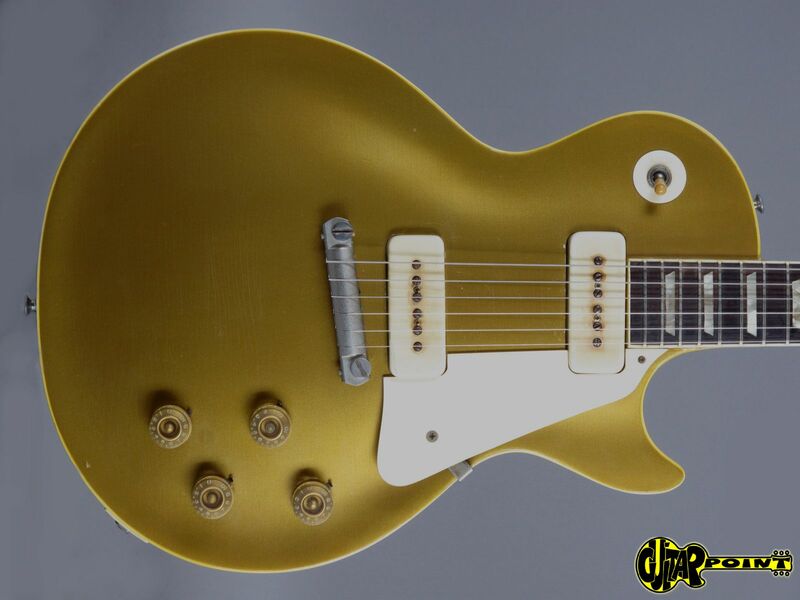 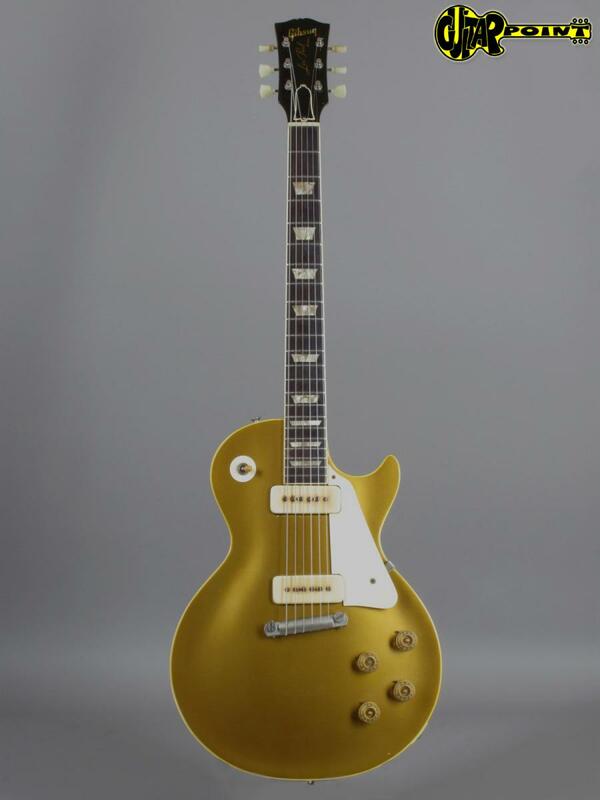 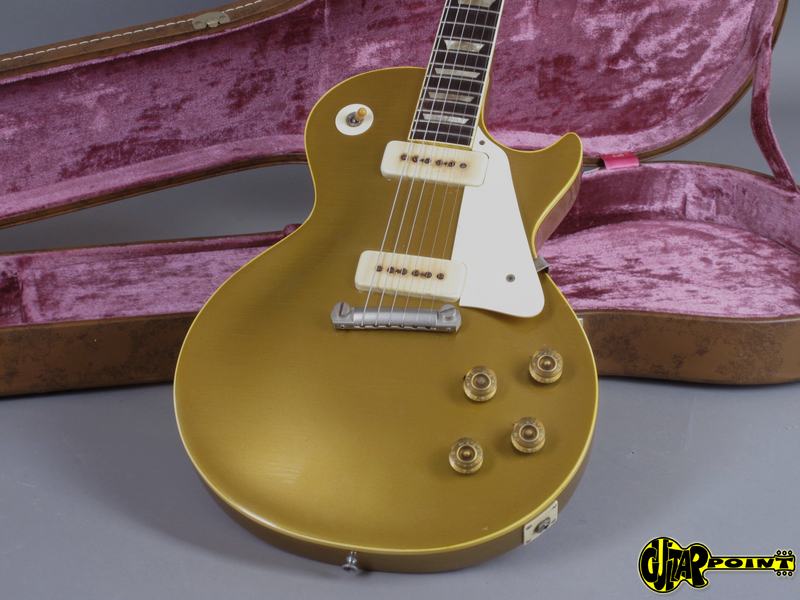 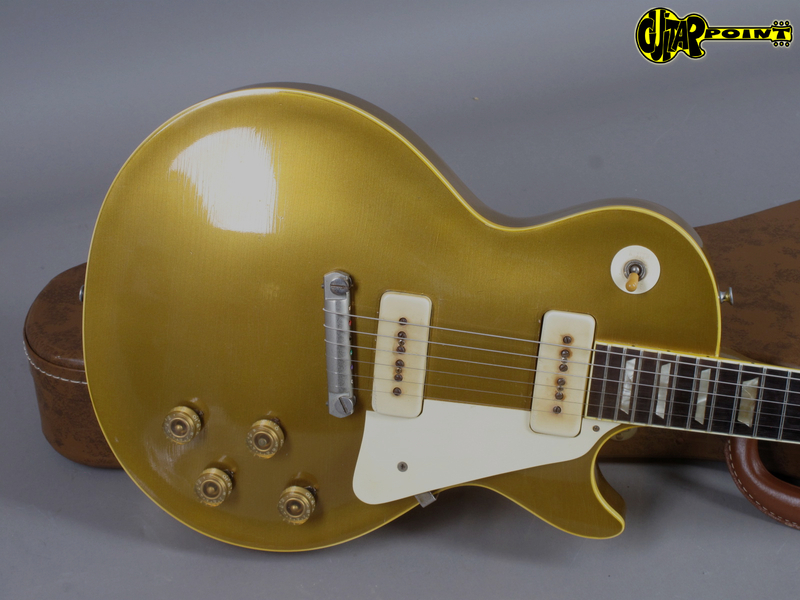 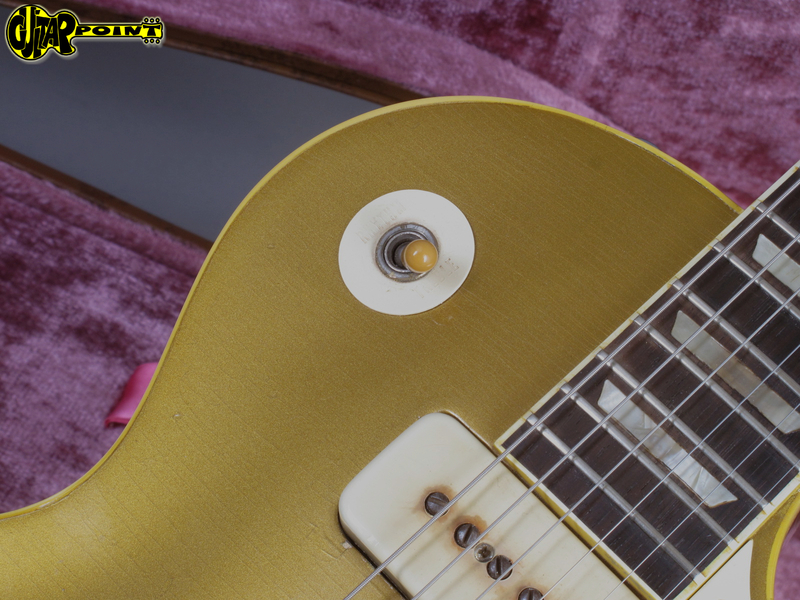 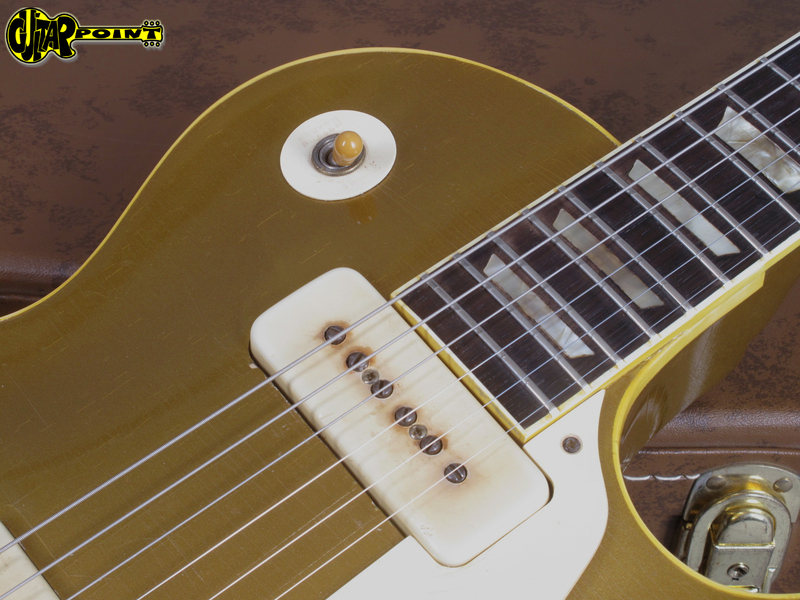 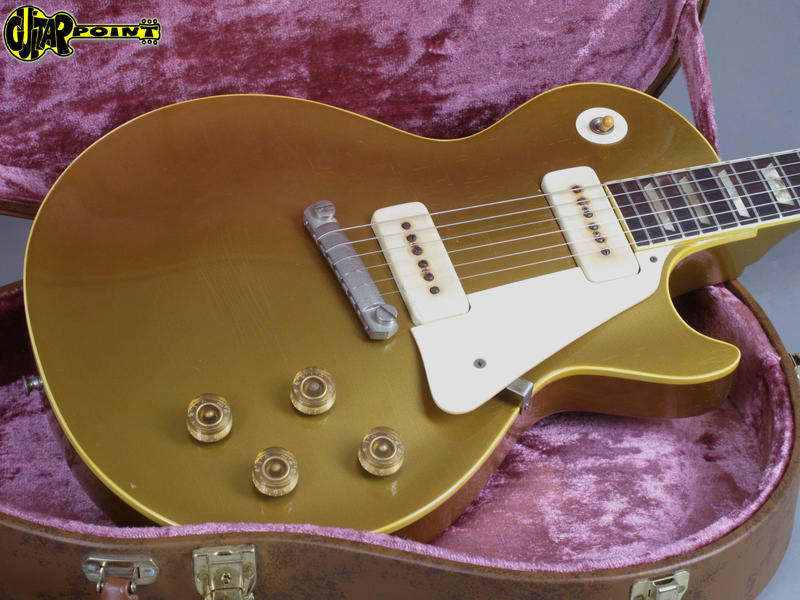 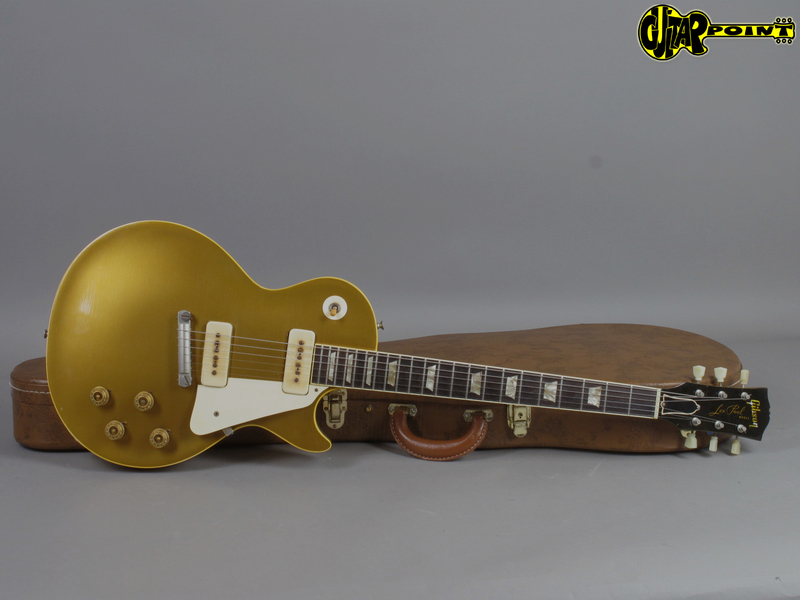 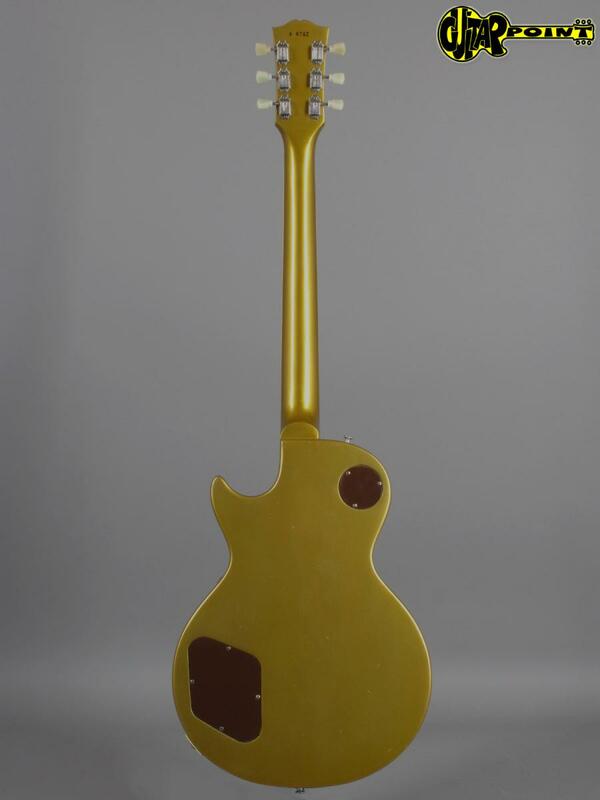 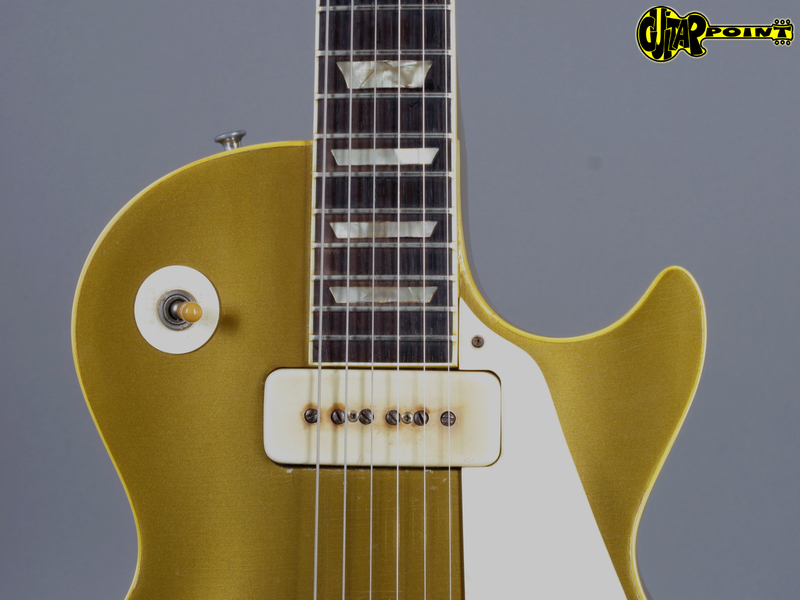 This super cool 1954 Les Paul Gold Top / Allgold is a great opportunity if you are looking for a real vintage Les Paul for a players condition price. 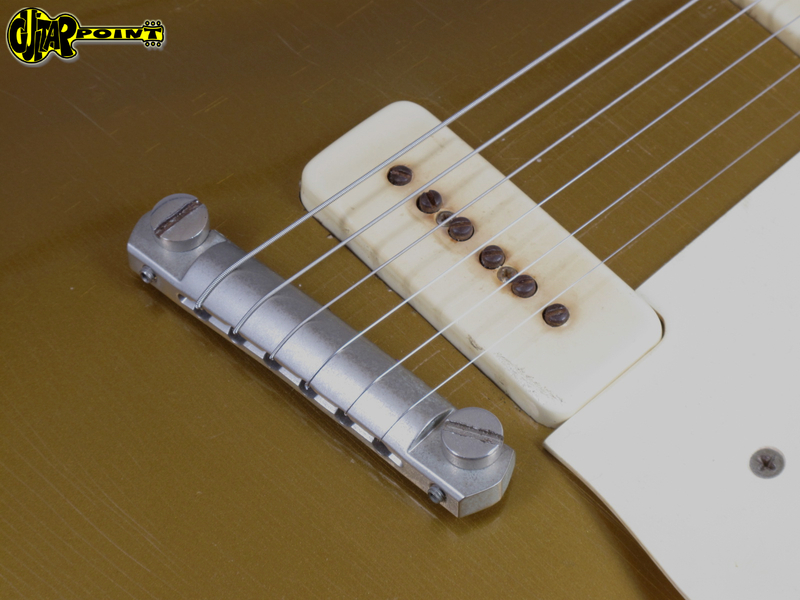 The guitar has an old refin along with a pro refret with Jumbo frets and new fingerboard binding. 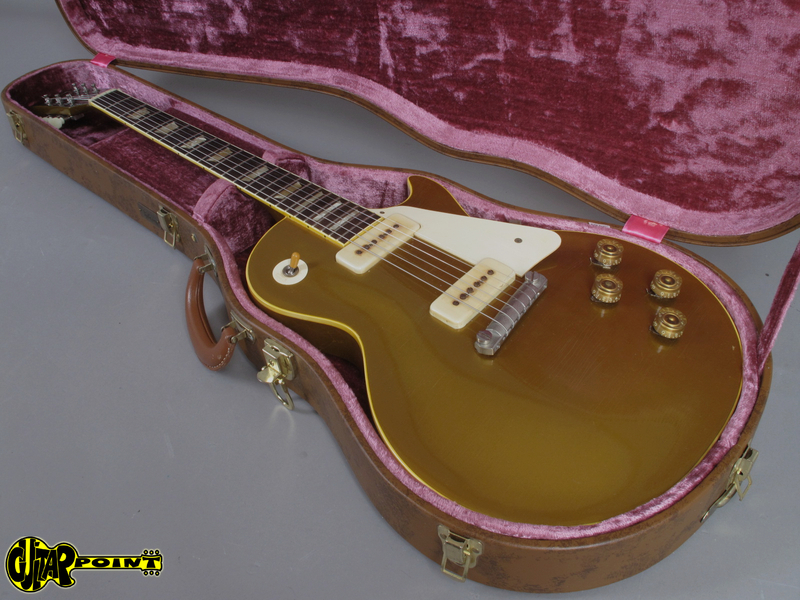 It has been converted to humbuckers once but it was restored back to original specs before it was refinished. 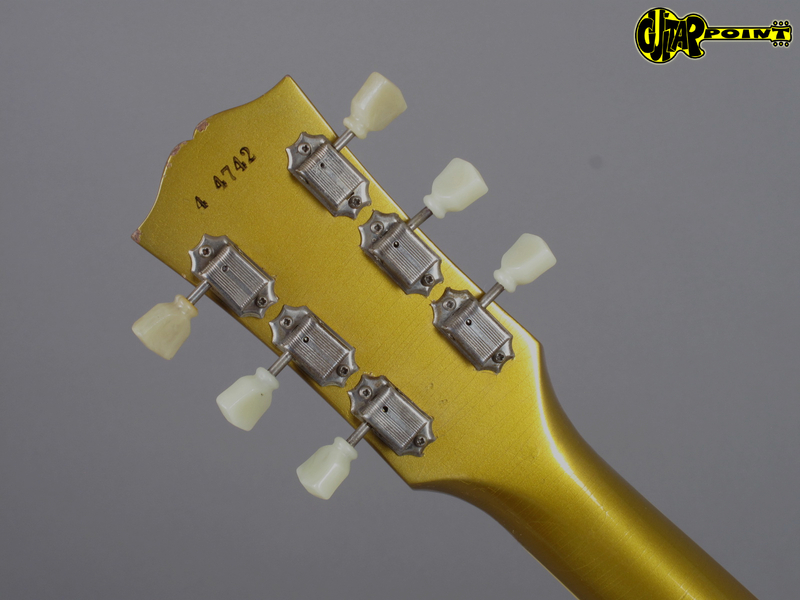 The Stoptail and one Stud are newer repros. 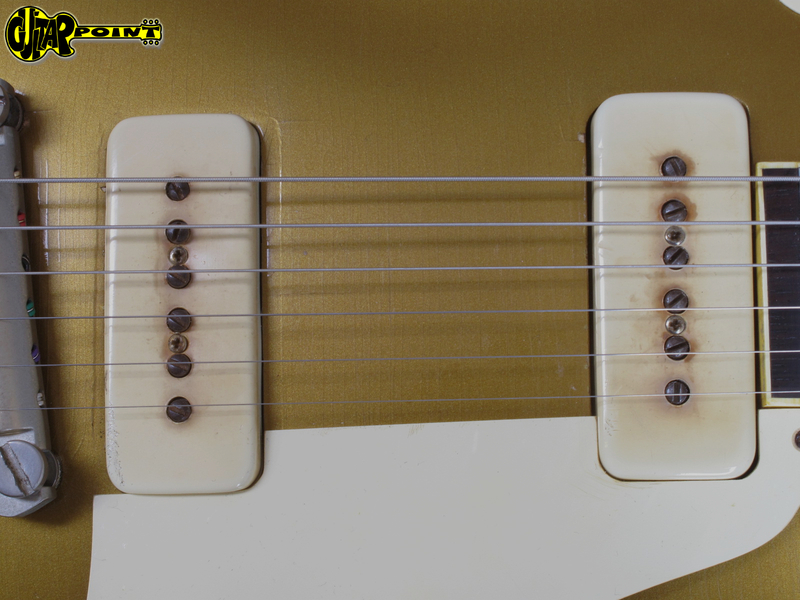 Also, it seems there has been a professionally repaired headstock crack before it was refinished. 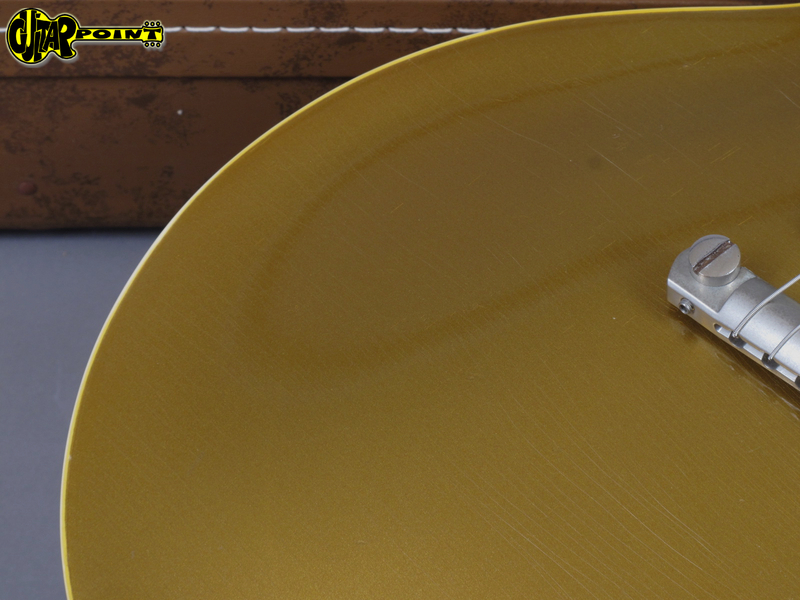 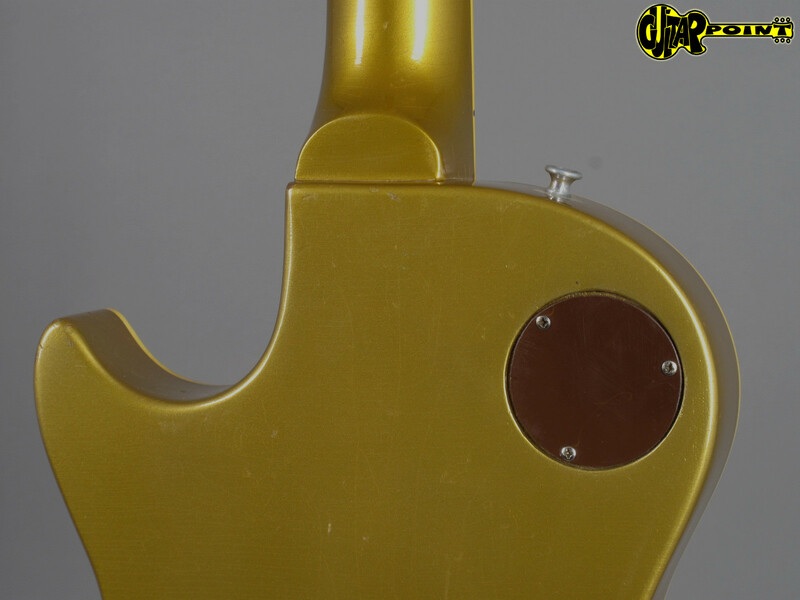 The finish has only minor playwear, a couple minor dings and weatherchecking great overall shape! 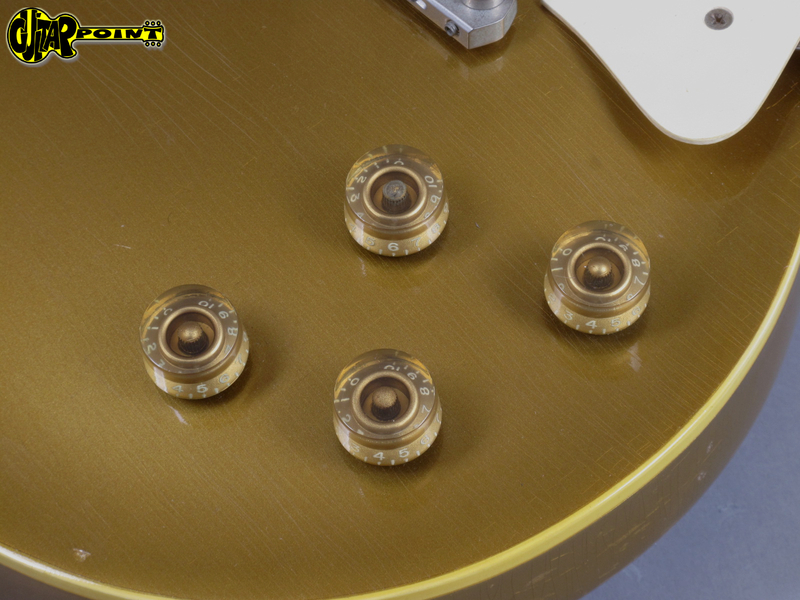 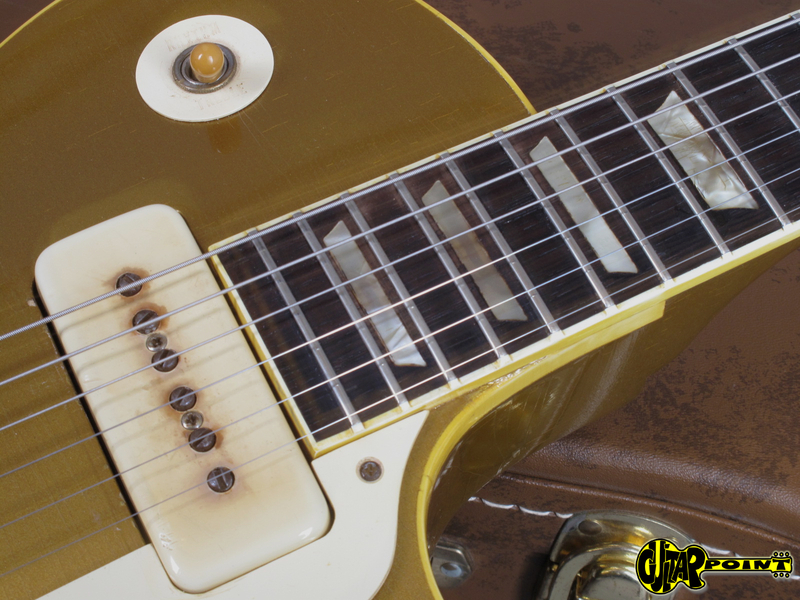 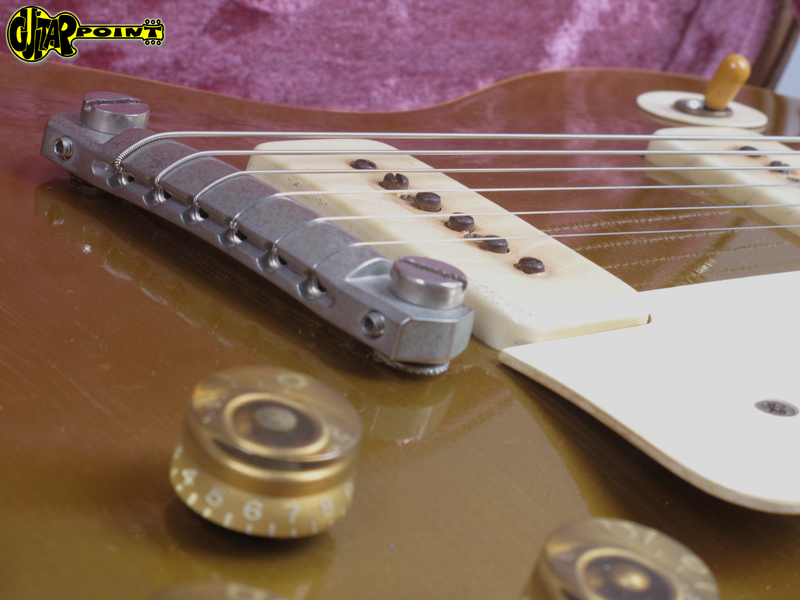 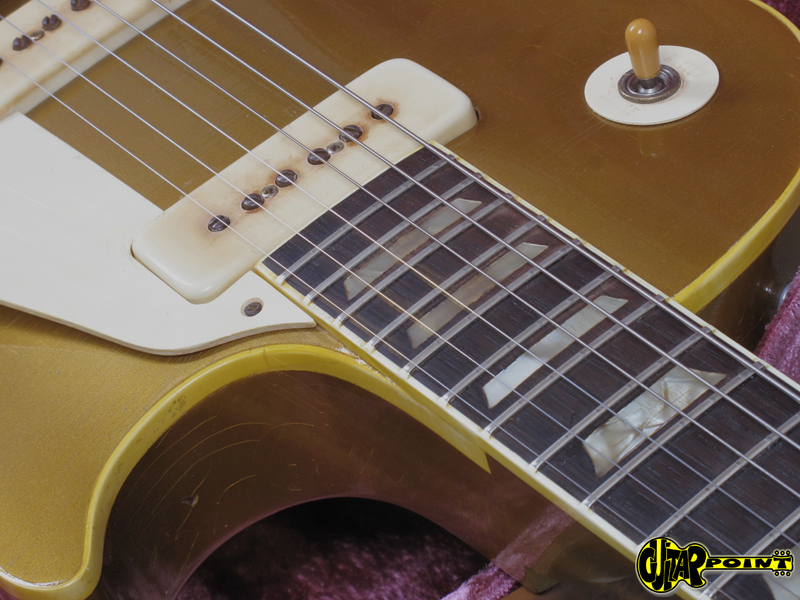 The two well balanced, strong P-90 pickups make that Les Paul scream and sound just fantastic. 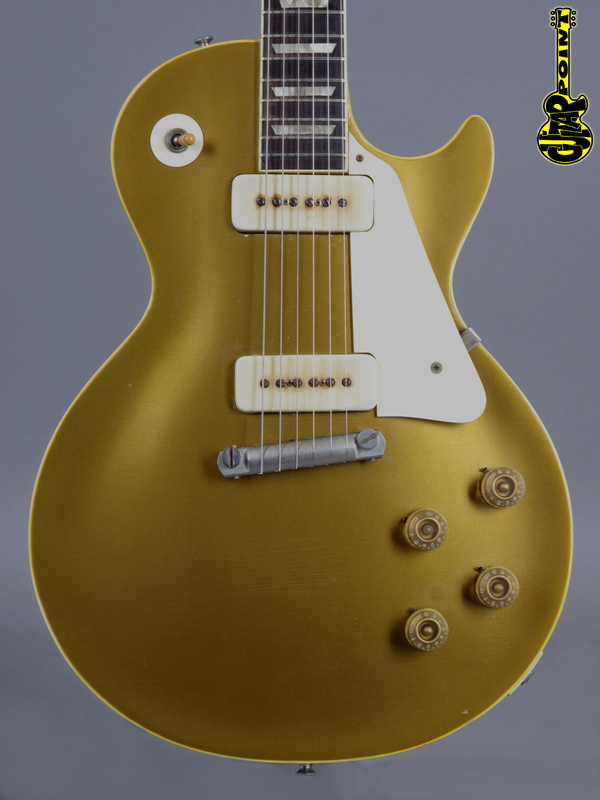 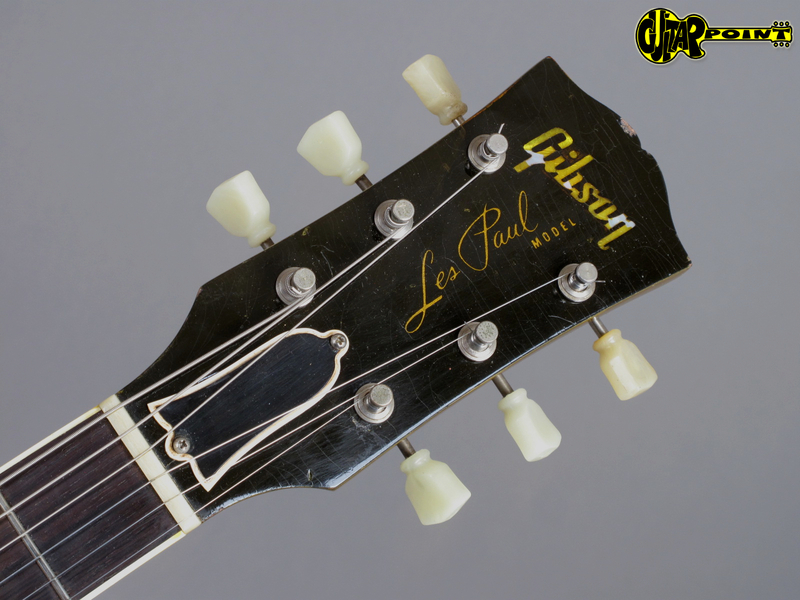 A comfortable nicely playable neck which is on the thinner side and a comfortably low weight (only 3,72kg/8.20lbs) make this Les Paul a real joy to play. 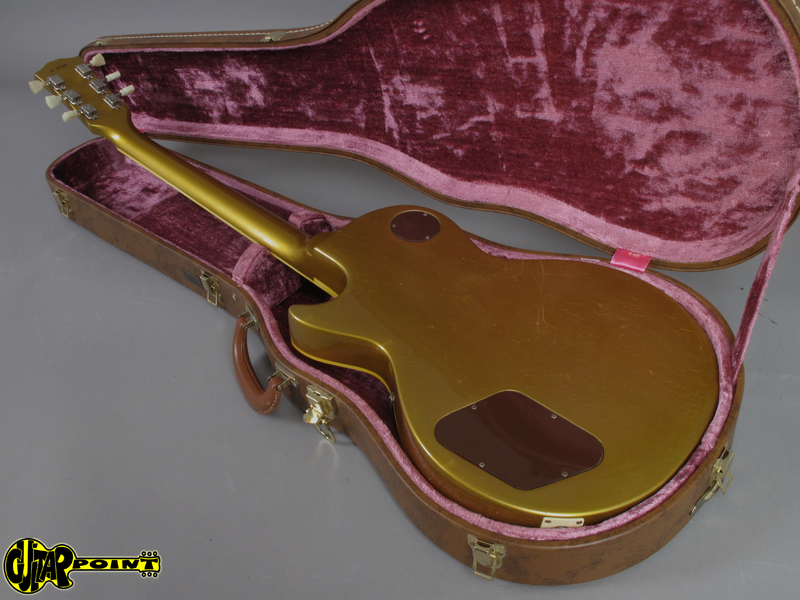 Comes in Gibson Custom Shop Reissue case with pink plush.